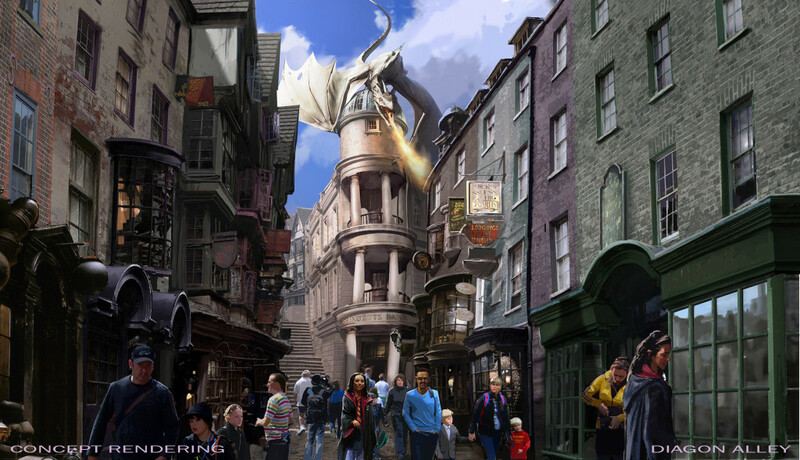 Diagon Alley Versus Avatar: Who Cares? For theme park fans, I see it in articles and newsfeeds all over Twitter and Facebook: Universal versus Disney. Sure, they are competitors in Orlando, but why does every new attraction or hotel have to “one up” the other? With the latest concept art and videos being released by Disney recently, I keep seeing fans light up with “Disney is finally going to beat Universal again and regain their former glory as theme park champions!”…. or something to that effect. Yet, when the Magic Kingdom’s biggest expansion opened, that same buzz wasn’t generated. 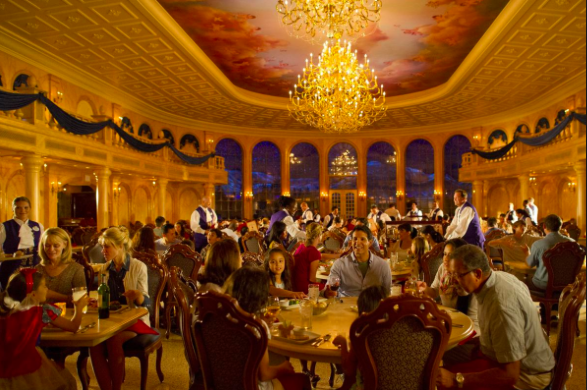 Sure, Be Our Guest added a much needed table service to the world’s busiest theme park and The Little Mermaid: Ariel’s Undersea Adventure brought in a high-capacity omnimover system into an area of the park with notoriously long lines. However, in terms of immersion and the level of detail seen at Hogsmeade, it didn’t quite stack up. Regardless of the overwhelming majority of what online bloggers, message board posters and theme park fans say, New Fantasyland is doing extremely well for the Magic Kingdom. Be Our Guest is booked solid months in advance (even for quick service lunch now), the Seven Dwarfs Mine Train is rarely less than an hour wait and even Mermaid gets decent wait times considering its high capacity. 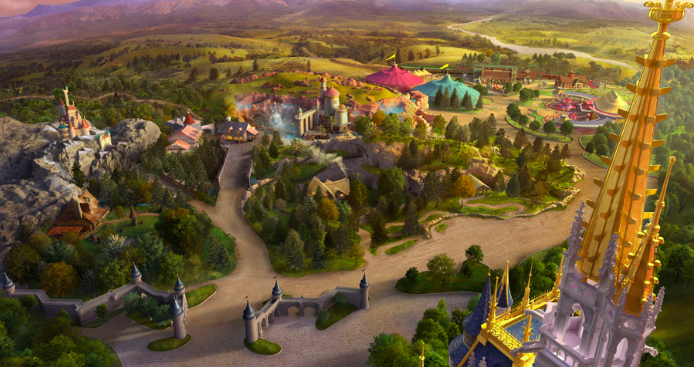 New Fantasyland fulfills a business need. The Magic Kingdom can now have a higher in-park capacity thanks to all these new restaurants, shops and attractions that can absorb the extra crowds. 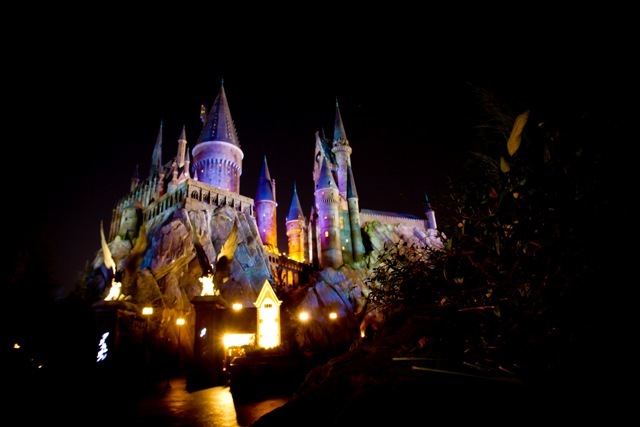 Hogsmeade also fulfilled a need for Islands of Adventure, which needed a stronger intellectual property to bring in guests to a park that may not have otherwise come. I’m not saying that Hogsmeade isn’t highly detailed and very impressive, but it fit the business need for what Universal Orlando needed perfectly. The same can be said for Diagon Alley, which is another wonderfully detailed experience that is immersive in every sense of the word. However, if you think Universal has somehow trumped Disney, the numbers don’t lie. In 2013, the Magic Kingdom brought in just over 18.5 million people. That same year, Islands of Adventure had 8.14 million enter their gates. Universal Studios Florida had just a hair over 7 million, which was before Diagon Alley opened in the summer of 2014. 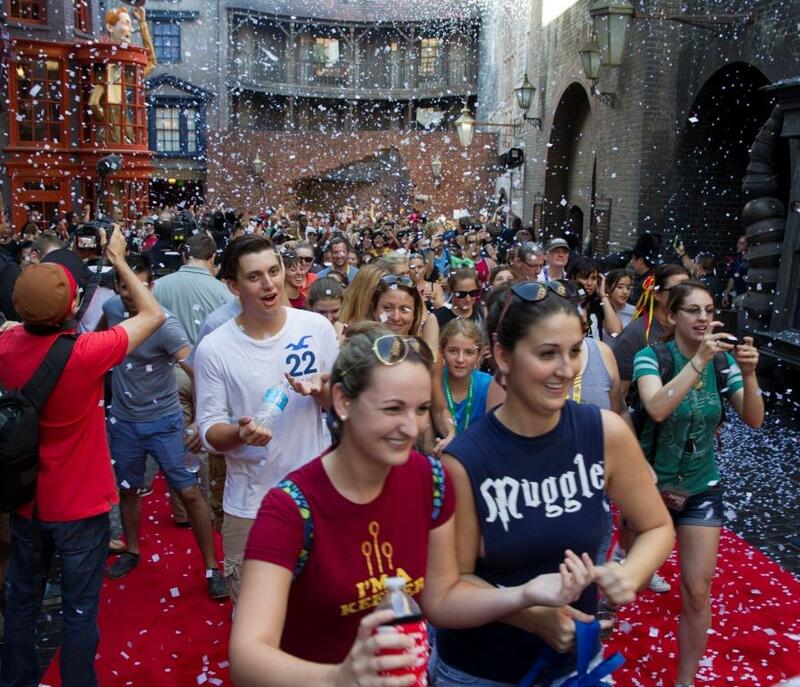 While the numbers haven’t been released for 2014 as of the writing of this piece, the numbers will no doubt spike for USF thanks to Diagon Alley’s opening. Will they come close to Animal Kingdom’s 10.11 million in 2013? It’s possible, but doubtful. Which brings us to Avatar. Sure, the world of Pandora looks impressive and will probably be highly immersive when it opens. However, the real win here is it brings more attractions to Animal Kingdom making it a better value for the price paid and will help absorb the crowds. 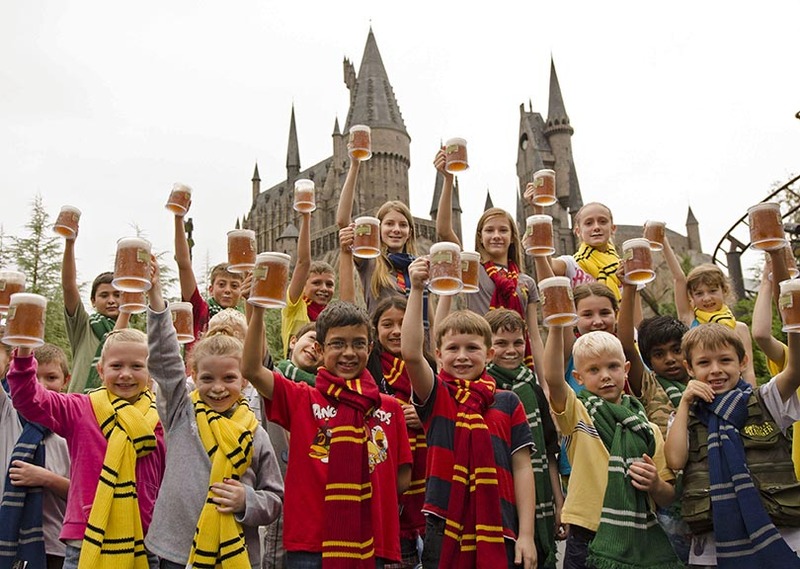 Will it have the broad appeal of Harry Potter and bring in the same number of fans from all over the world that J.K.’s books has to Universal Orlando? Highly doubtful, but time will tell. 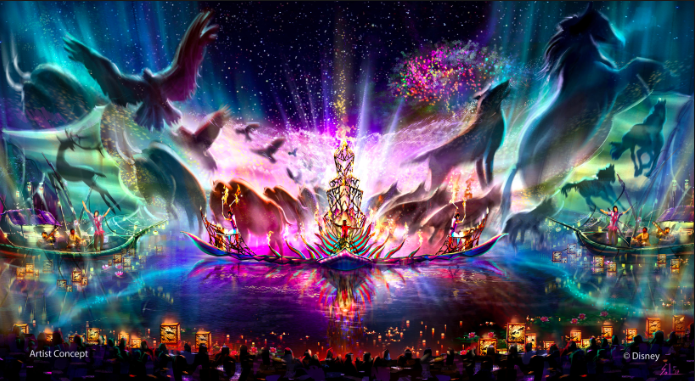 Personally, I am more looking forward to the Rivers of Light at Animal Kingdom. We finally have something that gives an excuse to let the park stay open past 7 p.m. Instead of a traditional nighttime “fireworks spectacular,” this will be done with projections, fountains and lights that are still being placed in nearly every piece of plant life surrounding The Tree of Life. Why isn’t that being judged against what Universal is doing? In reality, I think that this could be the new addition people will be talking about for years, not Avatar. In the end, why does Diagon Alley have to be “better” than Avatar or vice versa? Why can’t we live in a world where both are solid standalone lands that are less competition, but a “win” for theme park fans? And for once, can we stop playing this game of Republicans versus Democrats, Cowboys versus Indians and Universal versus Disney and just celebrate good ideas that can come from anywhere within the themed entertainment industry? Not everything needs to be a battle. Your thoughts? Make sure to follow Theme Park University on Twitter and like our Facebook page! Doing any online shopping? Click on any Amazon links on this page and it helps us pay the bills, which costs you nothing extra. Thanks! This entry was posted in Disney, Editorial, Editorial, Universal and tagged Avatar, Dragon Alley, New Fantasyland, Rivers of Light, Theme Park competition, Universal Orlando, Walt Disney World. Bookmark the permalink. Trackbacks are closed, but you can post a comment. Why do I feel like half the articles on here, are disney defense pieces these days? Anyways, the issue that most fans bring up, and is IGNORED in this article. Is simply that no one gets why Disney thinks people still care about avatar. People are frustrated because disney is pumping millions into a NON COMPANY brand, NO ONE CARES ABOUT, especially given they have yet to fully capitalize on the two huge brands they do own, in the parks. Aka marvel and star wars. As annoyed as I am by Avatarland, it’s too late for Disney to turn around. The project has already gone vertical, and there is no stopping it now. As much as I don’t like the theme, I do agree with Josh that it fills the needs of Animal Kingdom, and it also looks like it will be amazing. As for your two other brand ideas, there have been some attempts on both fronts. First, Star Wars has been known that it’s going to happen at sometime, with Iger even addressing why it’s taking so long. Apparently, they were close to getting a green light for construction/announcement, when they realized there was no tie-in to the new movie. Iger made the call to scratch it and restart the idea process with the new movies involved. Hopefully, we’ll hear something soon. As for Marvel, there is a very specific contract with Universal that Marvel made, prior to being bought by Disney, so Universal could have the Marvel Super Hero Island. In the contract, Marvel is not allowed to let anyone other than Universal have an attraction with the Marvel name or use the Marvel name in marketing (which is why when Disney Parks blog references them, they say stuff like “from the studio that brought you ‘The Avengers'” . Marvel also is not allowed to let anyone else East of the Mississippi use a character being used by Universal or in the family of characters of the ones being used by Universal such as The Avengers, The Fantastic Four, & X-Men. The entire agreement can be read here, on the SEC’s website:. Disney seems to be testing the waters/finding small loopholes to capitalize on the Marvel purchase where they can. This may be part of the reason Big Hero 6 and Guardians were made & why Ant-Man, Dr. Strange, Captain Marvel, and Black Panther plus the tv shows are being made, because it meant they could be used unrestricted at the ParksDuring the Villians Unleashed event last year, there was a Meet & Greet with Star-Lord & Gamora. Baymax & Hiro have been doing Meet & Greet at MGM Studios for a while now. Limited amounts of Marvel merchandise, such as Baymax stuff, Guardians stuff, and a little bit of the other characters have been showing up in stores around property. Other Marvel characters have also appeared at Disneyland. While I don’t like the Avatarland any more than anyone else, it seems that Disney heard us and is trying to capitalize on their most recent IP purchases. The whole point is there isn’t enough to do in Animal Kingdom. You can’t fix that with Star Wars and Marvel. You need some type of animal or creature theme (like Beastly Kingdom would have been). There are still 2 more Avatar movies coming out… popularity could improve. I doubt anyone is going to go to Animal Kingdom just for Avatar, but they might go if there is a full day worth of attractions to keep them occupied. Oh for the record I totally agree AK needs things to do! I am happy for the expansion in THAT sense, especially the night show. And while I would have preferred Beastly kingdom to avatar, anything is an improvement. 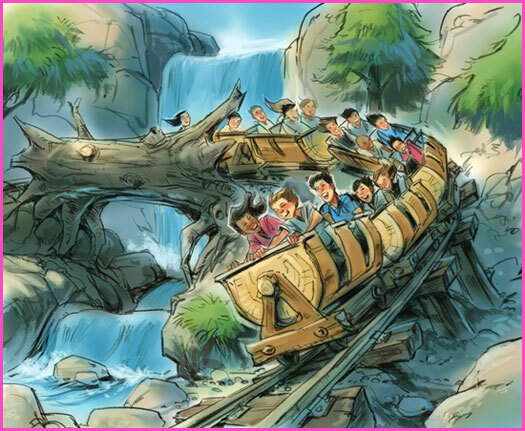 Of course there is also the issue, that all reports indicate the main attraction in the land, is not going to be anything on the level of impressiveness, that either HP ride offers. This is the battle of expectations. Harry Potter’s true competitor is Star Wars, not Avatar. Avatar is just in it for the run-up to the main entree. That’s why there is this major sigh coming from Disney fans. The Harry Potter killer hasn’t arrived yet. The New Fantasyland and Avatar won’t kill Harry Potter. The battle is between the wand and the light saber. Disney is still winning. Attendance at Universal will never match Disney. I’m flummoxed on why Disney fans are so excitable about Harry Potter. It’s not like Disney doesn’t own any other IP franchise comparable. Disney is just so thinly spread that no one has confidence they can pull off Avatar and Star Wars Land despite the fact that they did pull off Cars Land in Disneyland. The New Fantasyland was a disapointment in immersion. It was less ambitious and less WOW. Nonetheless, the Magic Kingdom continues to impress in attendance.